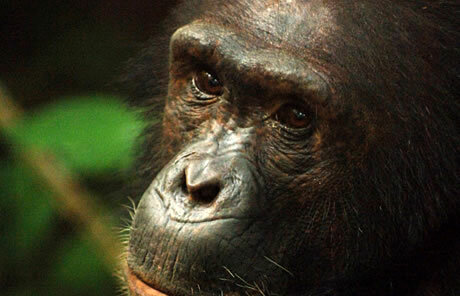 Tanzania is a vibrant country with a wealth of culture and beauty. 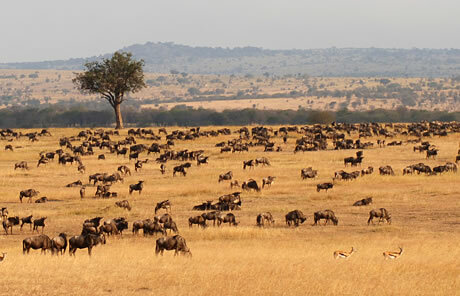 A quarter of the country is made up of national parks including the endless plains of the Serengeti, home to the annual wildebeest migration, the seldom visited Katavi, the majestic peak of Mt Kilimanjaro and of course the inspiring Ngorongoro Crater. 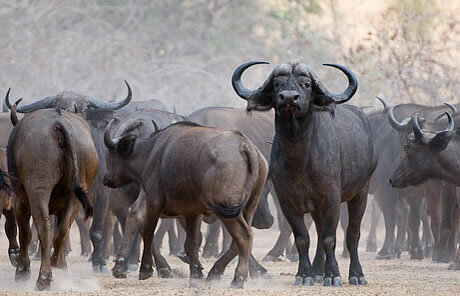 The safari experience in Tanzania is remarkable as the country still has areas of untamed wilderness, which are home to the densest animal populations in Africa. As well as the magnificent migration of wildebeest and zebra, you will find tree-climbing lions, huge buffalo herds, glittering lakes of pink flamingos, majestic elephant families and the chimps of the Mahale Mountains. It also has a stunning coastline where you can explore white sand beaches, old Swahili ports, remote villages and a magnificent abundance of marine wildlife. The idyllic islands of Zanzibar, Mafia and Pemba, lying out in the turquoise waters of the Indian Ocean, offer a wealth of wonderful places to stay. This makes for the perfect combination after spending a few nights under canvas. At Holmes Travel we have firsthand experience of safari in Tanzania and are passionate about offering our clients the right choice. We know the camps intimately and understand the seasons and the migration patterns. We are here to answer your questions and to make sure you have a truly authentic experience. A two week itinerary which visits some of Tanzania’s most famous national parks and is a lovely mix of luxurious lodges and remote camps. Day 1: Depart UK for overnight flight to Kilimanjaro. Day 2: Arrive into Kilimanjaro airport. Private transfer to Arusha. Stay one night at the Arusha Coffee Lodge. 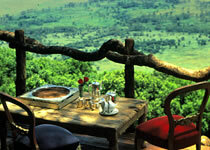 Day 3-4: Meet your guide and after breakfast head off through the coffee plantations towards the Ngorongoro escarpment. Stay 2 nights at Plantation Lodge, which is still a working coffee farm and has various activities on offer. 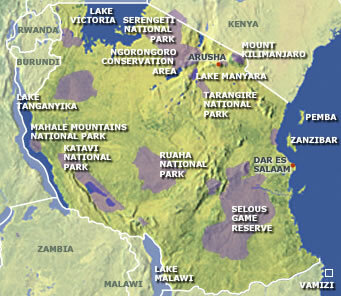 From here you can visit the iconic Ngorongoro Crater for a full day’s game-viewing. 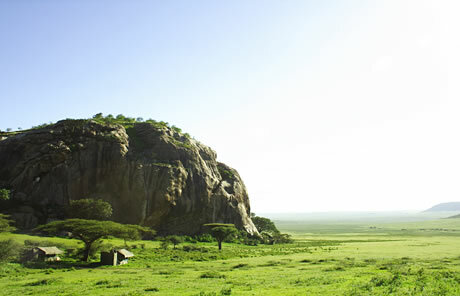 Day 5-7: Fly from Manyara airstrip to Serengeti Safari Camp in the heart of the National Park. This mobile camp relocates every few weeks to ensure that guests are in the midst of the migration and have the ultimate safari experience as literally millions of wildebeest snake their way forward in search of new pastures. 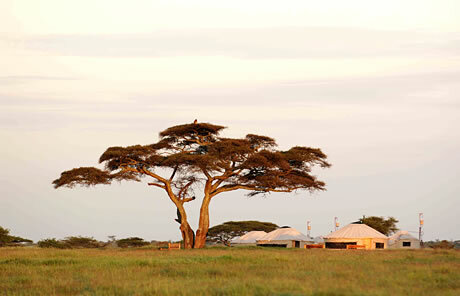 Day 8-10: Drive through the endless herds to Loliondo Camp, a small collection of traditional and stylishly decorated yurts, which are set just outside the park and therefore allow a greater range of activities such as walking safari and night drives or a visit to the nearby Masai Village. Day 11: Fly back to Kilimanjaro and spend the afternoon at a lodge before catching your flight home. Day 12: Arrive back into the UK. Total Package including international flights: from £3500 per person. This itinerary has a multitude of options and the exotic coast beckons as an add-on, be it Kilindi on Zanzibar, Pemba or even the wonderful Vamizi, just off northern Mozambique. Contact us for ideas and prices. Copyright ©2010 Holmes Travel Ltd. All rights reserved.